Since the 1970s, Lego has produced several "themed" lines - and here's the rundown of the biggest hits. This year marks the sixtieth anniversary of the Lego brick, with the patent officially being issued on January 28, 1958. Since then, the company has been pushing the envelope of possibilities for a relatively simple toy. Of course they still produce their classic brick boxes, as well as the near-required fire trucks, police cars, and buildings. These individual sets are sold as part of an overall “theme,” some themes lasting longer than others. I'm not going to go into every single theme Lego has ever produced, because really, we'd be here forever – there's countless one-offs (Yellow Submarine), limited run sets, and even some regional exclusives that were only a couple of sets as a test market. Instead, we're going to take a look at some of the most iconic themes, and what their effect on the brand is today. Technically speaking, the longest running theme is Lego City, with the earliest versions of the idea being based around the 1950s-1960s “Town Plan,” which mostly consisted of small buildings that were a little bit bigger than model train scale – minifigures wouldn't come until the late 1970s. These were just released as Lego sets, no official theme to speak of. Slowly, Lego added more and more to their line, including vehicles and larger buildings, adding in the previously mentioned minifigs and increasing the size and scope of the system. The daily life sets were organized into the theme titled Town in 1978. Not long after, the Fabuland line was introduced, which was a similar concept – vehicles and houses for figures – but the figures themselves were larger and used cartoonish animal heads, thus appealing to a younger audience. Different sub-themes came in as time went on, covering a range of city locations and designs, like a “spring break” type line. Now, the Town line lives on as Lego City, and once again involves a large range of vehicles and sets for kids of all ages, from mining teams to police stations to camping, and everything in between. In addition to Town, 1978 also saw the release of Castle and Space, both of which lasted in some way until around 2014. Both lines were an instant hit, allowing children to wage medieval battles and intergalactic expeditions. 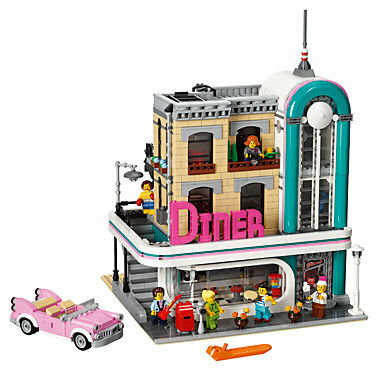 These themes, much like Town, used minifigs and had a wide price range of sets, so that there was always an affordable set for families to purchase. The Castle line included large expansive castles and battlements, but also smaller sets of a handful of knights and some trees or wagons, and Space covered everything from a massive base for astronauts to moon buggies and gliders. Pirates came not much long after that, and gave kids large scale pirate ships and soldiers to fight each other on the high seas. This theme also introduced the first peg leg piece, which would turn out to be the first non-generic style minifig part. 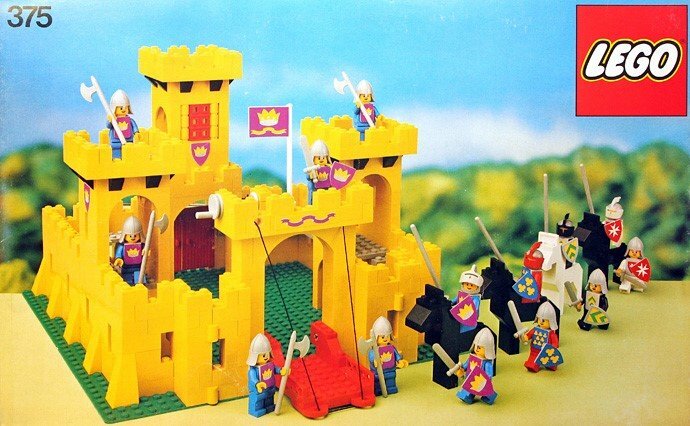 As with Castle and Space, this line covered a wide price range, with small sets consisting of a single pirate and some loot, to large bases for soldiers or island adventures. These late 70s-80s themes are still big collector's items, and the fans can often be seen online discussing when Castle and Space are making their triumphant return. Pirates most recently was brought back in 2015 as a “Juniors” line, targeted to younger children, though a remake of the large ship was released in the main “system” line, while Castle and Space were combined in 2015 to create Nexo Knights, which ended in early 2018. Fast forward a bit, to what was once a controversial idea and now is one of the top selling products the company has every produced, Star Wars. In 1999, with the then-upcoming Prequel Trilogy being the talk of online chatrooms and playgrounds, Lego and Lucasfilm partnered to release sets based on both the Original Trilogy and The Phantom Menace – and surprisingly, many fans of Lego were concerned the company would switch to just licensed out sets and basically leave the others out to dry. 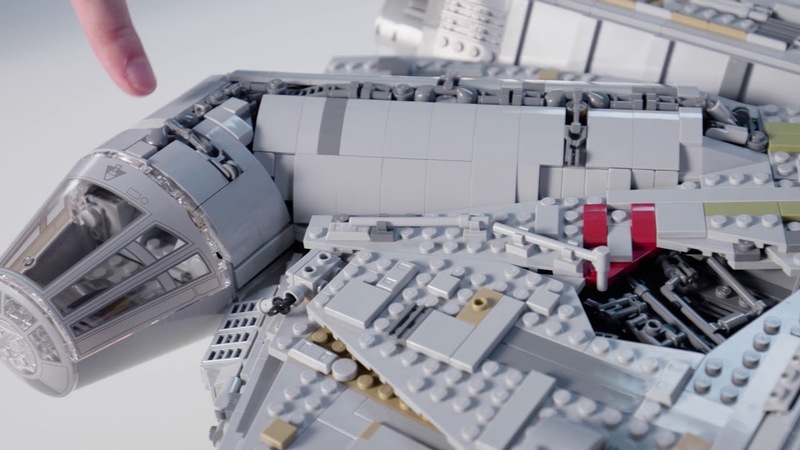 Rather, the two ran side-by-side, and Star Wars quickly gained the respect from the Lego community. These sets are notable for often introducing new pieces, new styles of building, and even changes to minifigures – Yoda was the first to have the short leg piece, Jar Jar Binks was the first to have a sculpted head unlike a normal minifig. The success of Star Wars led to Lego licensing other properties, such as Harry Potter and DC and Marvel Super Heroes. The superhero sets mark the first time since Mego's iconic toys that a company was producing DC and Marvel toys that are designed to be played with together – though a Batman focused line began in 2006, Marvel joined in the revival of the superhero theme in 2012. In 2017, the largest Lego set ever was released, being a to-scale replica of the Millennium Falcon, which sold out in record time. We cannot forget the adult-target lines. The Creator Expert sub-theme of “Modular Buildings” was launched in 2007 as a high-piece count, fully minifig scale building that used several techniques and parts that are uncommon in the usual Lego set. The first release was “Cafe Corner,” and proved to be a success, though the building itself lacked a detailed interior. Fans suggested adding features to the inside of the buildings as well (which would begin with the third installment, “Green Grocer”), and the line grew with an annual release. The architecture is designed to be sometime between the 1930s and 1960s, with such sights as an upscale restaurant, a movie theater, a detective office, and most recently, an American style diner. The line is already just as collectable as the classic themes, with sealed boxes of the retired sets going for hundreds, if not thousands of dollars. Essentially, this and the Star Wars “Ultimate Collector Series” are the “adults” Lego (from part count to the price), thus making good on their “4 -99” age range. Some sets may be made with older kids in mind, but if you put your mind to it, anyone can build any set – even if it needs some help. I did purposely skip over some important themes like Studios, Duplo, Ninjago, and Bionicle. I brought it down to the most famous and the most collectable within the Lego community. And besides, Bionicle deserves an in-depth look on it's own, so stay tuned for that. But nevertheless, Lego themes allow for kids and adults to get the things they want to see as a brick-built set, as well as get minifigs of Darth Vader, Iron Man, firefighters, rock stars, etc. And there is nothing wrong with buying Lego sets as an adult – there is always something they produce that reaches out beyond the kid toy market. Themes help to give variety and organize the production, but also help collectors and fans find exactly what they're interested in. In the 1980s, it was knights and space travel and pirate voyages. Now, kids want sprawling cityscapes, X-Wings, and the Avengers. That's just how things are, no problem with that. Especially when the company makes products that can be used together and played with as one big set, generations can come together in the living room and play together. Not too many toys have that luxury.